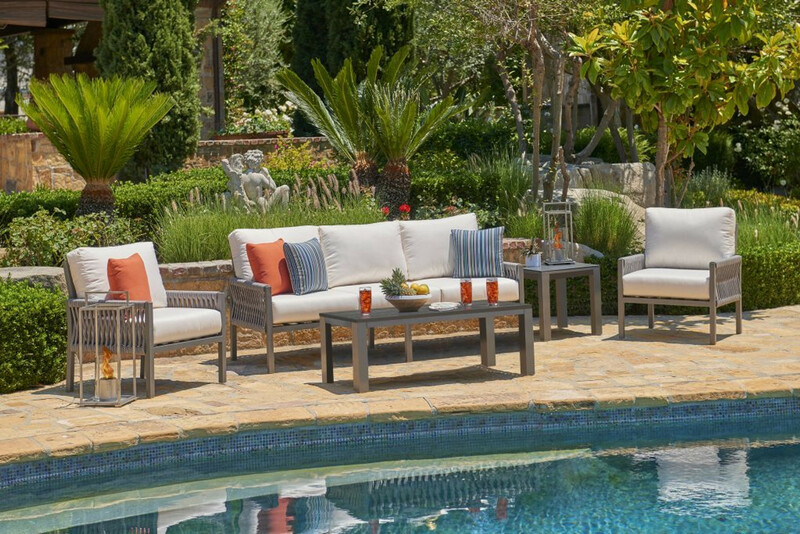 Add a unique twist to your outdoors with North Cape International's Palm Cay Collection. This fresh and modern ensemble features an aluminum frame in gunmetal grey combined with a rope-like mixed gray poly-flex material highlighting the arms and back. The plush customizable cushions feature all-weather Sunbrella fabric in your choice of colors or patterns. This unique and comfortable collection is an attractive line that is perfect for any outdoor setting.